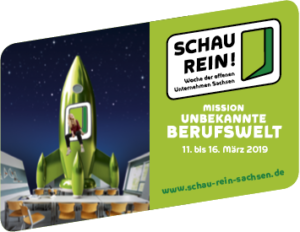 A glance at the calendar reveals that the week of open companies in Chemnitz from 11 to 15 March is within reach. We would also be happy to open our doors on 13 and 14 March. As a training company, we provide comprehensive information on the job profiles of assistant tax consultants and office management consultants. Highly motivated and committed, our preparations are already in full swing. After all, we don’t just have one title to defend – “Best Practice” – we absolutely want to live up to this award as one of the best companies again. We are looking forward to many visitors! Registrations for our events are required and can be made here.